On February 28, 2014, we posted an article about ICD-10 and Stage 2 Meaningful Use (MU) announcements by the Centers for Medicare & Medicaid Services (CMS) at the 2014 HIMSS annual conference. At that conference, while CMS refused to extend the deadlines for ICD-10 and Stage 2 MU, it promised to be more flexible about providing hardship exemptions on Stage 2 MU for providers and vendors truly struggling to meet the incentive program’s requirements. CMS said that guidance would be forthcoming. Yesterday, March 10, 2014, CMS issued such guidance. 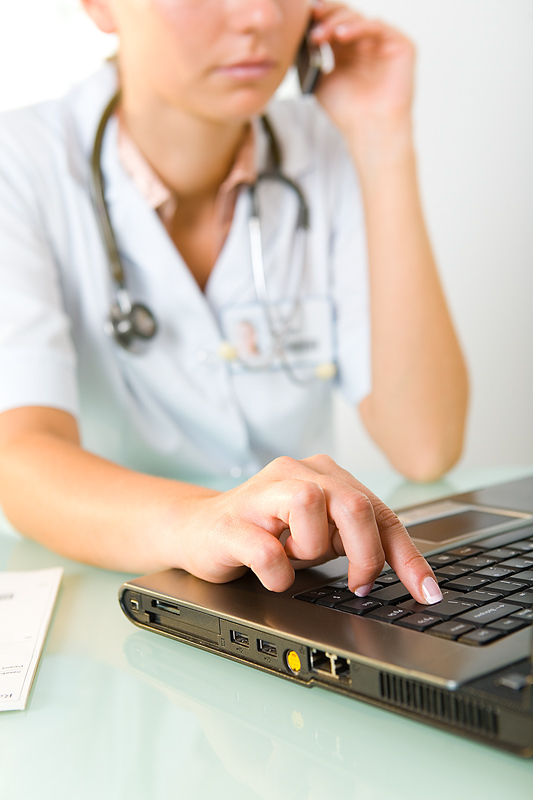 The Guidance is directed solely at providers experiencing EHR vendor issues. Importantly, the Guidance gives an automatic, one-year reprieve for certain providers who demonstrated MU for 2013. Under the Health Information Technology for Economic and Clinical Health Act of 2009 (the “HITECH” Act), if a provider is eligible to participate in the Medicare EHR Incentive Program, then the provider must demonstrate meaningful use of Certified Electronic Health Record Technology (CEHRT) to avoid a payment adjustment. These downward payment adjustments will be applied beginning on October 1, 2014 for hospitals and critical access hospitals (CAHs) and on January 1, 2015 for Medicare eligible professionals. 1. New Participants: Eligible Professionals. CMS advises eligible professionals who are new participants in 2014 and who intended to demonstrate meaningful use for the first time in 2014, but were unable to implement 2014 certified EHR technology for the 2014 reporting year, to apply for a hardship exception for the 2015 payment adjustment and to select “2014 Vendor Issues” as the reason applying for a hardship. This hardship application is due by July 1, 2014. 2. Returning Meaningful Users: Eligible Professionals. Eligible professionals that have successfully demonstrated meaningful use for the 2013 reporting year will not be subject to the 2015 payment adjustment. Instead, they will automatically receive a one-year reprieve without submitting a hardship application. If an eligible professional is unable to implement 2014 certified EHR technology for the next reporting period, then it may apply for a hardship exception for the 2016 payment adjustment. CMS advises that the eligible professional should select “2014 Vendor Issues” as the reason applying for a hardship. Returning eligible professionals must submit hardship applications by July 1, 2015. 3. New Participants: Eligible Hospitals and CAHs. CMS advises eligible hospitals and CAHs who are new participants in 2014 and intended to demonstrate meaningful use for the first time in 2014, but were unable to implement 2014 certified EHR technology for the 2014 reporting year, to apply for a hardship exception for the 2015 payment adjustment and to select “2014 Vendor Issues” as the reason applying for a hardship. The application describes a “vendor issue” as when “the Hospital’s EHR vendor was unable to obtain 2014 certification or the Hospital was unable to implement meaningful use due to 2014 EHR certification delays.” This hardship application is due by April 1, 2014, which is just a few weeks away! 4. Returning Meaningful Users: Eligible Hospitals and CAHs. Eligible hospitals and CAHs that have successfully demonstrated meaningful use for the 2013 reporting year will not be subject to the 2015 payment adjustment and do not have to submit a hardship application for that year. If an eligible hospital or CAH is unable to implement 2014 certified EHR technology for the next reporting period, then it may apply for a hardship exception for the 2016 payment adjustment. CMS advises that the eligible hospital or CAH should select “2014 Vendor Issues” as the reason applying for a hardship. Returning eligible hospital or CAH must submit hardship applications by April 1, 2015. To be considered for an exception, an eligible professional or eligible hospital or CAH must complete a Hardship Exception application along with proof of the hardship. If approved, the hardship exception is valid for one payment year only. A new application must be submitted if the hardship continues for the following payment year. In no case may a provider be granted an exception for more than five years. CMS is currently accepting hardship exception applications for the 2015 payment adjustment only, and 2015 application forms are available here. 2016 hardship applications are expected to be available from CMS after the 2015 filing deadlines. CMS decisions regarding Hardship Exceptions are final and cannot be appealed. Visit the EHR Incentive Program webpage for additional information about the Medicare and Medicaid EHR Incentive Programs and their incentive payments to eligible professionals, eligible hospitals and CAHs for adopting, implementing, upgrading or demonstrating meaningful use of certified EHR technology.